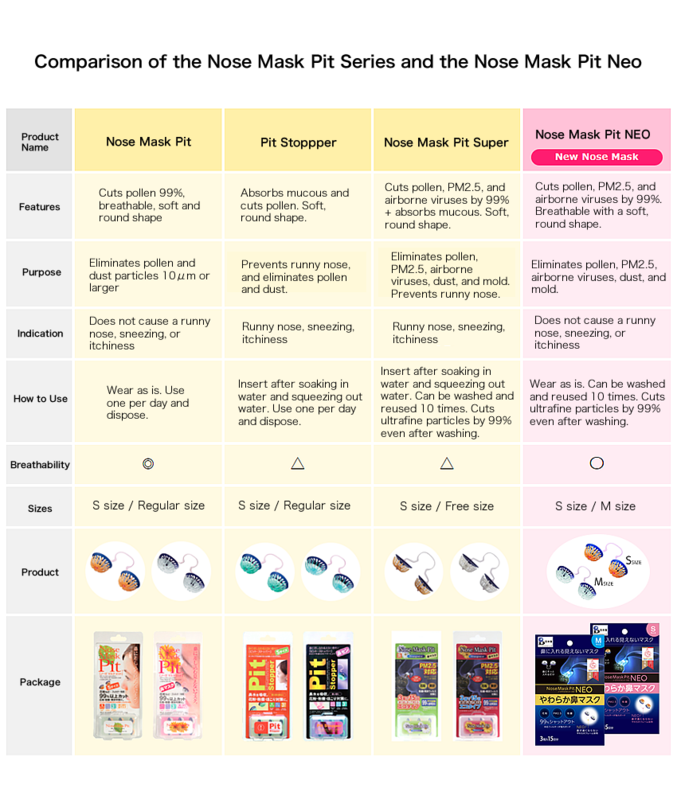 Its double layer of an N95 non-woven material and a high-functioning special sponge cuts PM2.5 and other particulates, viruses, pollen, and dust by 99%, and absorbs mucous. 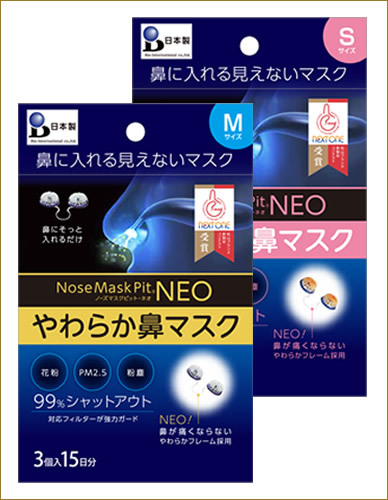 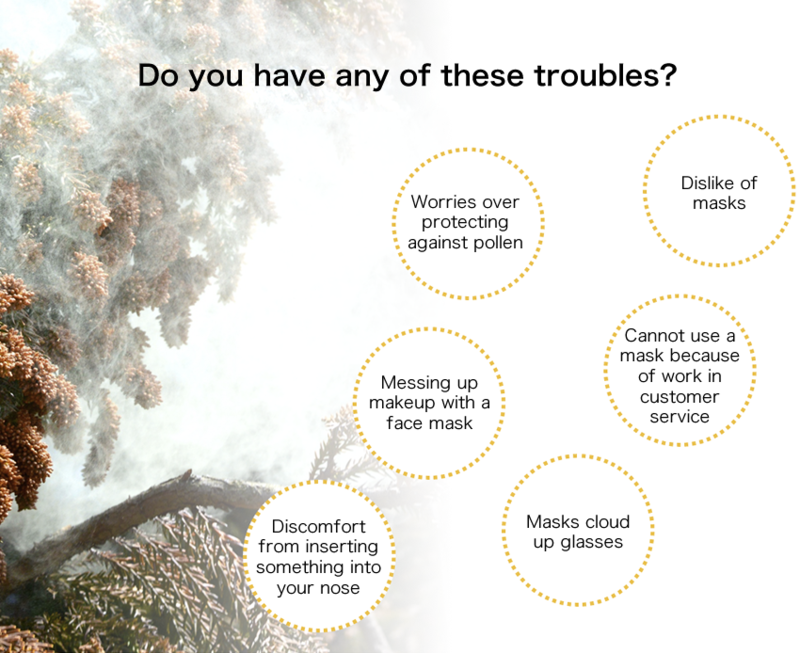 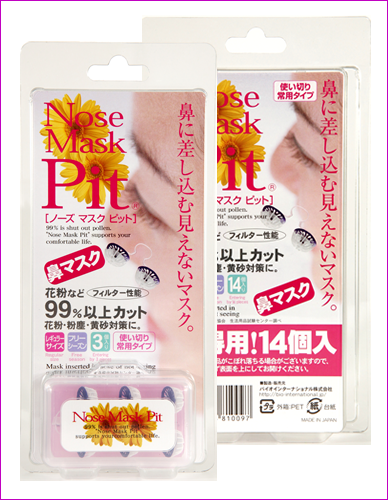 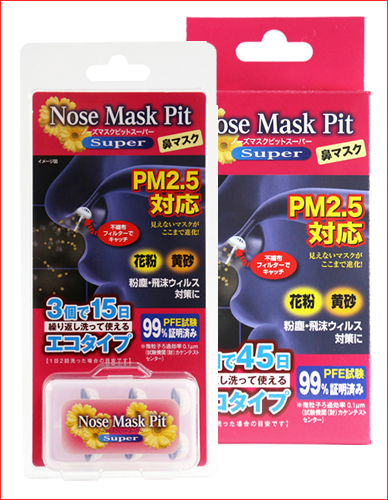 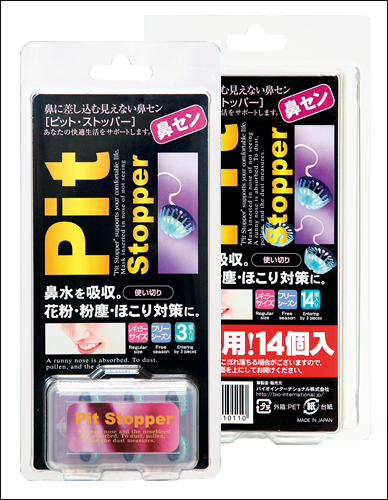 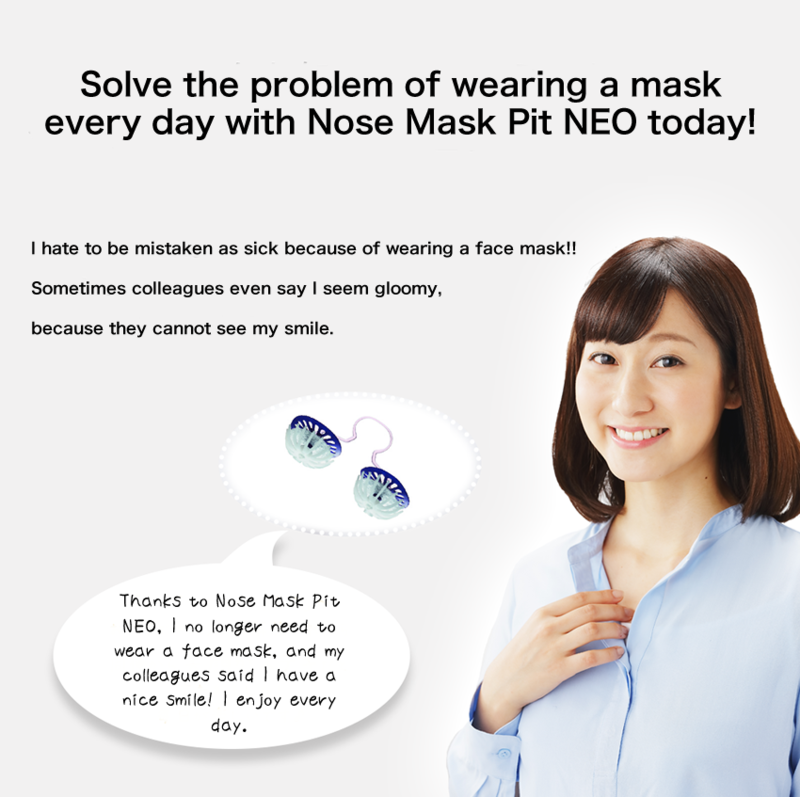 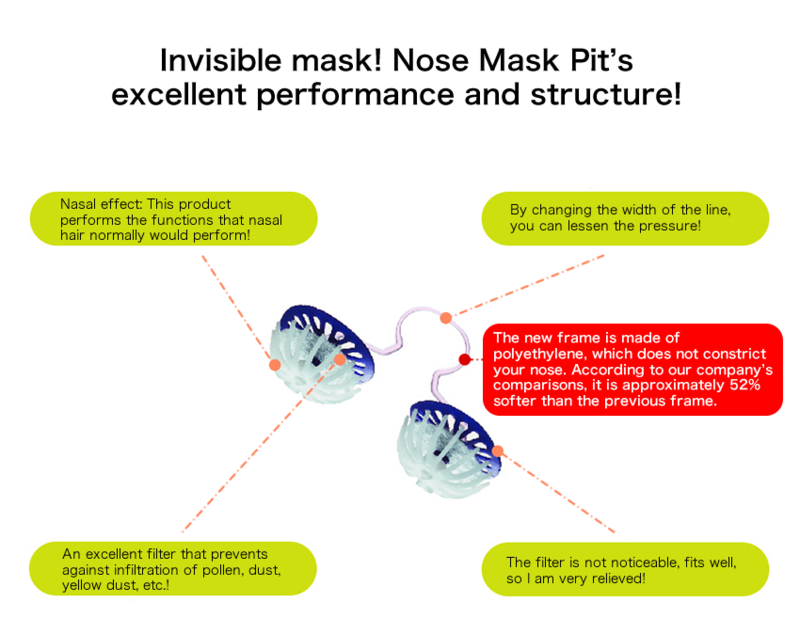 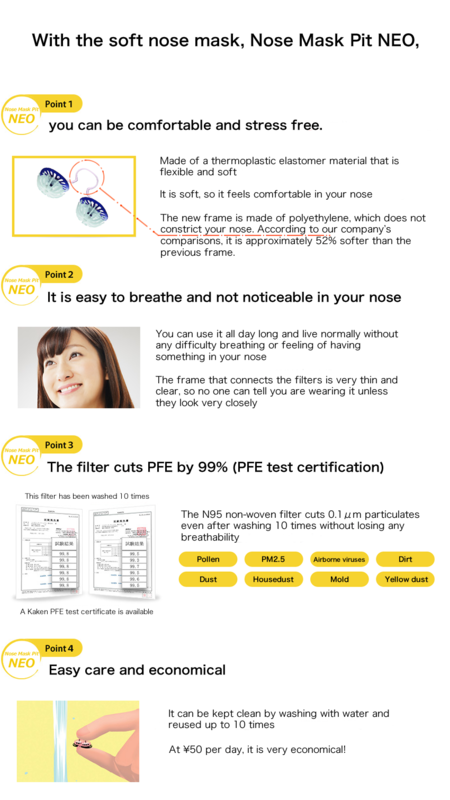 Nose Mask Pit is a product that uses high-quality filters with a 0% pollen penetration rate in BOKEN testing. 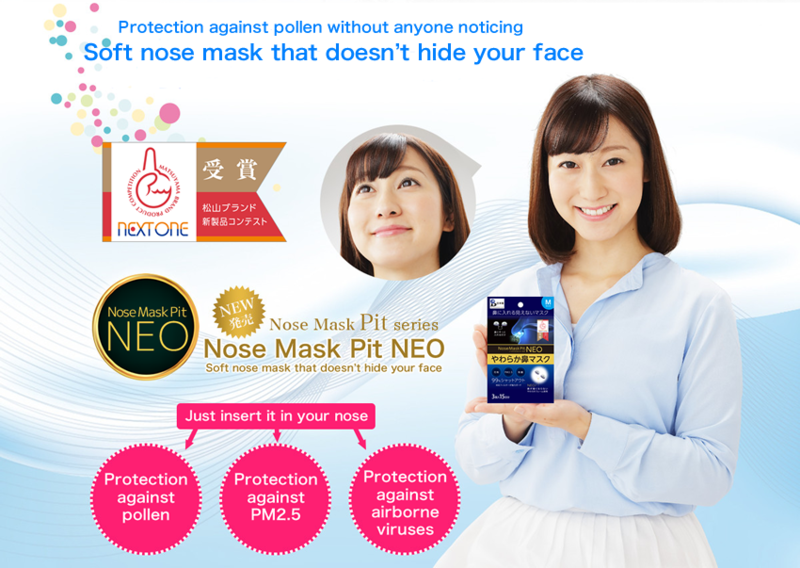 It can eliminate over 99% of particles of around 10 microns, such as pollen and dust. 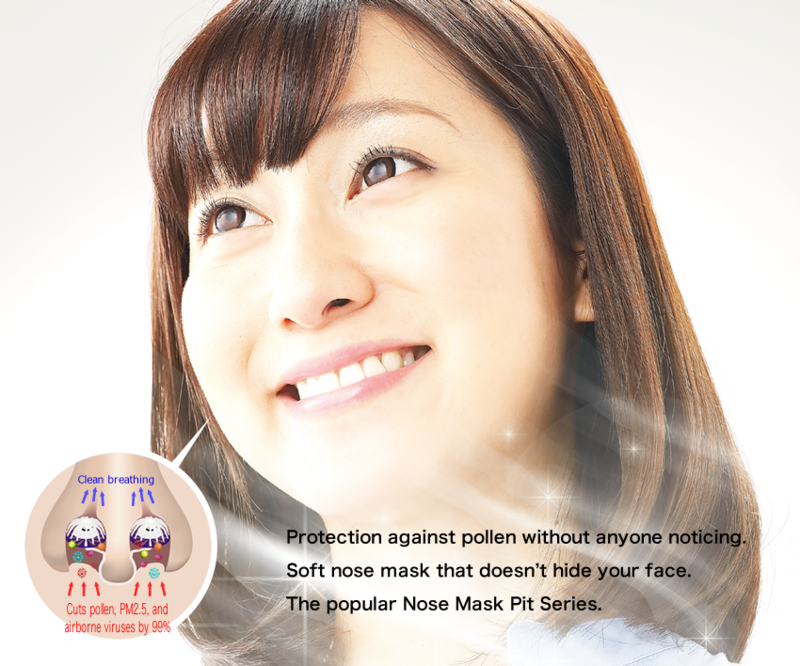 In addition to eliminating pollen, it is equipped with a stopper that stops mucous from running out of your nose when you have hay fever.